South Sudan is a country in conflict. Though guaranteed in their constitution, free speech and free press are hard to find in this restrictive state. With nine journalists confirmed dead since 2001 , the country ranks 145th on reporters without borders world press freedom index. This is down 5 points from 2016. Since its creation, the country has struggled with freedom of the press and several publication, such as the Citizen, have shut down rather than risk the lives of their reporters. With a resurgent civil war coming in and out of play since 2013 (the most recent scuffle being in 2016 with insurgents in Juba) it seems hard to comprehend, but steps are being made to make amends and move toward a nation where free speech is not only allowed, but encouraged. 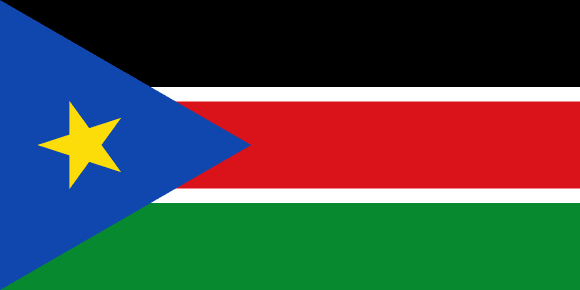 South Sudan is the world’s newest country as of 2011, celebrating its seventh birthday in 2018. Until 2011¹, South Sudan was officially part of the larger country of Sudan to its north. It is located in the heart of Africa, and is landlocked on all sides. It has a population of roughly 12.23 million as of 2018. Sudan gained its independence Jan 1, 1956, having been under British and Egyptian rule for over a century. Part of the cultural rift that eventually led to civil war was the fact that for a time (roughly 1890-1930) Sudan was governed by Britain and Egypt as one nation. Starting in 1930, The British Civil Secretary declared “southern policy,” officially splitting the territory in two due to cultural and religious differences. Then, in 1946, Britain merged the north and south into one region. This became problematic as Arabic became the language of the country’s administration. Northern Sudan spoke Arabic, but the Southerners by and large did not. This led to more Northerners in positions of power in the south. These tensions continued until southern insurgents began attacking the city of Torit in 1955. In 1956, the civil war divided country was granted independence from Britian. The fighting continued until 1972, when a tentative peace was reached between the insurgents and the Sudanese government in the Addis Ababa Agreement. This peace lasted until the capital of Sudan, Khartoum, discovered oil fields along the southern border and attempted to redraw territory lines to give t oil fields to the north. This, and several other violations of the Addis Ababa agreement, started the second civil war, which lasted from 1989-2005. South Sudan is granted a six-year test run of being an independent nation in the Nairobi Comprehensive Peace Agreement. After six years, South Sudan votes to secede and July 9, 2011, the newest country is born. A civil war has since broken out between different insurgent groups in 2013 that continues into the present. South Sudan has had a rocky start to its protection of free speech, to say the least. The Transitional Constitution of the Republic of South Sudan outlines protections for both free speech and free press, but this is often ignored. A report published in 2017 stated that Human Rights Division of the United Nations Mission of South Sudan received 99 allegations of free speech infringement and was able to verify 60 of them. These verified allegations affected over 100 people. They include at least two deaths, 58 unlawful detentions, and 16 job dismissals. Over half of these violators were part of the National Security Service, with the next biggest perpetrator being citizen authorities at state levels. The president of South Sudan launched in May 2017 the National Dialogue to try for unification of South Sudan and to garner peace and security. He set off this launch by promising to release all political prisoners in order to open up discussion more. The South Sudanese government has since reported it has freed more than 30 political prisoners, including two journalists, one of which had been held since 2014. Their reasons for being imprisoned were never revealed. Over 200 consultations took place in government occupied parts of South Sudan, where citizens were encouraged to speak their mind. Though there are at least two documented cases of the National Security Service being present, by and large frank discussion of issues was encouraged, and media coverage was allowed. Also in 2017, The Technical Committee for the formation of the Commission for Truth, Reconciliation and Healing (CTRH) held hearings and activities to raise awareness for their cause, allowing people to speak their mind on topics of tribalism, peace efforts, and nepotism, among others. At least thirteen of these sessions were held in prominent South Sudanese cities. With South Sudan as such a new country, every case is a landmark one. The new country seems to be dealing with any and all criticism by closing down the newspapers that publish it and harassing the journalists who write for them. The National Security Service shut down the country’s most prominent private paper, The Nation Mirror, in 2016 for no apparent reason other than it published an investigative report on corruption in South Sudan. The Nation Mirror has since reopened. Also in 2016, The South Sudan Media Authority shut down the Eye Radio. National Security Service members stormed the premises of the station and ordered it to be shut down with no explanation. After seven days of radio silence, Eye radio managed to get on the air again. In May of 2017, South Sudan’s media authority closed the Al-Jazeera Bureau in Juba. the Al-Jazeera is a newspaper with a location in the capital of South Sudan Juba. This was also for no legal reason other than that the Al-Jareeza covered ongoing conflict between rebel groups and the South Sudanese government. This disturbing pattern of Government harassment of local radio stations and newspapers leaves The state of free press in South Sudan unstable, despite free press being guaranteed in its constitution. The most prominent ongoing conflict is the continued fight between South Sudan’s National Communication Authority (appointed by the President) and independent publications that has its most recent casualty in Radio Miraya. Radio Miraya is a United Nations backed radio station in South Sudan, that was ordered to suspend broadcasting because it failed to acquire a broadcasting licence. The most telling language used in the conflict is The Media Authority citing Radio Miraya’s “persistent non-compliance and refusal to be regulated” This is concerning to the UN and has earned a condemnation from reporters without borders. Regulation of media in South Sudan is nothing new, but in recent years it has seen a backslide that has responsible citizens of the world concerned. The United States has a well documented history of free press and expression’s journey to where it is today. Sitting at number 43 on reporters without borders world press freedom index, the U.S. is down 3 points since 2016. Although the United States is not as aggressive with its journalists, both the obama and the Trump administration has cracked down on freedom of the press. At the beginning of Trump’s term, he began labeling the press the “enemy of the people,” banning several news organizations from entering white house press releases. While not nearly the shutdown of newspapers and radios of South Sudan, it is still concerning. In the U.S. journalists are still being arrested while trying to cover protests, with 23 arrests and 25 physical altercations confirmed in 2017 alone. While the journalists are normally released quickly after their arrest, most if not all of these journalists were wearing press credentials and were taken into custody regardless. Sudan also arrests its journalists, but they are much more methodical and intentional. Protests are one thing, but police officers in the U.S. don’t kick down the doors of news organizations that are critical of them and forcibly shut them down. Still, The U.S. has a track record of arresting journalists, and that can at as a deterrent for journalists to cover protests, which are expressions of free speech trying to be heard. Freedom of expression is well protected in the U.S., even hate speech and unpatriotic viewpoints² but again the line blurs during protests. The press often cannot report of everything that is happening and there are well documented cases of police failing to uphold citizens right to freedom of expression. In the case of the Ferguson protests of 2014, this is seen clearly. Citizens took to the streets after the police shot and killed an unarmed black man named Michael Brown. Racial tensions ran high, and in certain cases, press were illegally denied access to the city for a period of time and several arrests were made. Unreasonably aggressive tactics that were later condemned by the Justice department were used to disperse protesters, Including the use of snipers, dogs, and tear gas with no thought as to where the protesters would move to escape it. This isn’t the first time the press has been denied access to protest coverage. During the Zuccotti park raid in 2011, police attempted to clear protesters from the occupy wall street movement from the park. In a well coordinated operation, police obstructed the view of the park, barred journalists from entering the park, and refused to comment on what was happening. Journalists already inside the park were treated roughly, and sometimes violently, as they were corralled into a ‘press pen.’ The Mayor later took the blame for the whole affair, but the actions of that night remain. The United States is leagues above South Sudan in terms of freedom of speech and expression, but that does not mean it is perfect. There are still major problems in the U.S. in regards to how it treats its reporters, and how it treats its protesters. South Sudan has a horrible track record for freedom of speech and freedom of the press, but there are significant steps being taken to ensure South Sudan is headed in the right direction. If South Sudan can actively seek an open dialogue during a civil war, the United States can certainly improve its free speech and press relations.